BcFLC2 functioned as a repressor of flowering by directly regulating BcTEM1, BcMAF2, BcSOC1 and BcSPL15 in Pak-choi. FLOWERING LOCUS C (FLC) plays an important role in regulating flowering time. Here, we functionally described an FLC homologous gene, BcFLC2, that negatively regulated flowering in Pak-choi (Brassica rapa ssp. chinensis). The sequence comparison to Arabidopsis FLC showed that BcFLC2 also had a MADS-box domain at the N terminus. 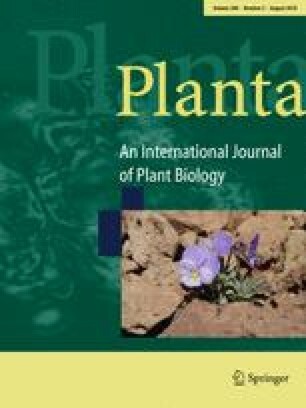 BcFLC2 was highly expressed in the leaves, roots, stems and stamens, and its expression was repressed by vernalization in Pak-choi. Interestingly, BcFLC2 expression exhibited a small peak at 2 weeks of vernalization treatment, suggesting that BcFLC2 may be involved in preventing premature flowering under short-term cold exposure in Pak-choi, which is different from the AtFLC expression pattern. 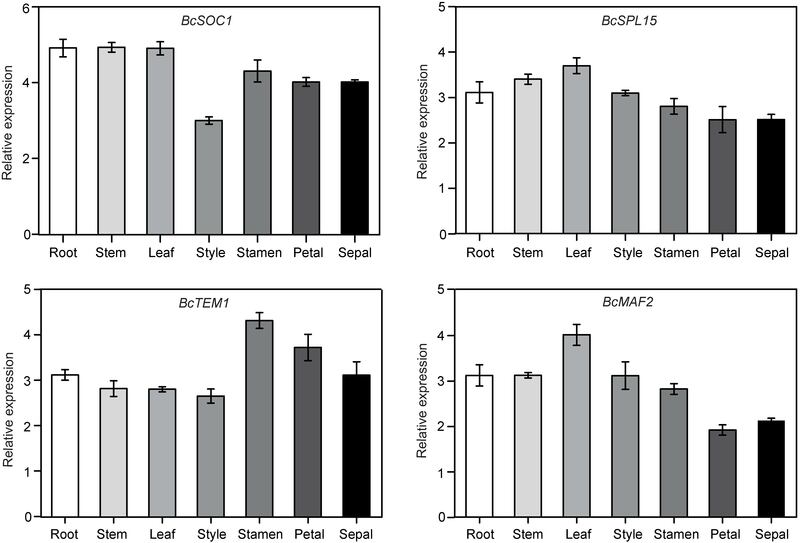 Overexpression of BcFLC2 in Arabidopsis caused late flowering, while silencing of BcFLC2 in Pak-choi caused early flowering. BcFLC2 localized to the cell nucleus and functioned as a transcription factor. Yeast one-hybrid analysis revealed that BcFLC2 could bind to the promoters of Pak-choi Tempranillo 1 (BcTEM1), SUPPRESSOR OF OVEREXPRESSION OF CONSTANS 1 (BcSOC1), SQUAMOSA PROMOTER BINDING PROTEIN-LIKE 15 (BcSPL15) and MADS AFFECTING FLOWERING 2 (BcMAF2). Taken together, the present results suggested that BcFLC2 played a key role in flowering regulation as a negative regulator by controlling BcTEM1, BcMAF2, BcSOC1 and BcSPL15 expression. Feiyi Huang and Tongkun Liu contributed equally to this work. The online version of this article ( https://doi.org/10.1007/s00425-018-2891-0) contains supplementary material, which is available to authorized users. We would like to thank Prof. Isabelle Jupin for providing the plasmid pTY-S. This work was supported by grants from the Integrated Innovation Center of Industrial Technology System of Modern Agriculture (vegetables) of Jiangsu (SXGC273), the Fundamental Research Funds for the Central Universities (Y0201700179) and the Major Program of National Key Research and Development of China (2017YFD0101803).